Why is somebody sitting in an office in Connecticut making a life or death decision about whether a young girl in Kansas needs the medical treatment that her Doctor has prescribed for her to beat the cancer that is ravaging her little body? How can a determination of that magnitude even be attempted without eye to eye and soul to soul and people to people contact? It seems rather cowardice to me to hide behind rules and regulations when what is truly necessary is relational evaluation. And yet we have become more and more an impersonal society as each day goes by! My wife gave me a compelling book for Christmas entitled “Lone Survivor: The Eyewitness Account of Operation Redwing and the Lost Heroes of SEAL Team 10” by Petty Officer Marcus Luttrell. Luttrell was one of four US Navy SEALS who departed one clear night in early July 2005 for the mountainous Afghanistan-Pakistan border for a reconnaissance mission. Their task was to document the activity of an al Qaeda leader rumored to be very close to Bin Laden with a small army in a Taliban stronghold. Five days later, only one of those Navy SEALS made it out alive. That one man was Marcus Luttrell. This is the story of the only survivor of Operation Redwing, SEAL fire team leader and the extraordinary firefight that led to the largest loss of life in American Navy SEAL history. Luttrell and his 3 fellow squad mates fought beyond normal human strength right beside one another until Marcus was the only one left alive. He ended up being blasted by an RPG into a place where his pursuers could not find him. Over the next four days, terribly injured and reported dead to even his family, Luttrell crawled for miles through the mountains and was taken in by sympathetic villagers who risked their own very lives to keep him safe from surrounding Taliban warriors. Why do men and women in suits playing politics and having no real connection to the life and death situations that our men and women in uniform are in get to dictate what is done on the battlefield? Why have we become such a wishy washy generation that is always looking for approval from the masses before we make any courageous moves of just doing what is right? People die when they could be saved in medical situations because of the whole chaotic insurance dilemma that again is determined by looking at policies over the very people involved! And if we are going to put our young people in harm’s way- then we have no right to tie their hands when they are trying to get the job done in the midst of a war with an enemy that damns all the rules! Jesus never played to the crowds! He knew that he would never get anything accomplished if it was his goal to please the population! As a matter of fact, every time a crowd seems to make a decision in the Bible- it never leads to anything good! The crowd voted that Noah was off his rocker and they all drowned when the rains came! The crowd voted not to take the Promised Land that God had clearly promised to give to his people and they all perished in the wilderness! And when it was left up to the crowd with what to do with Jesus- well they voted to crucify him! As a Pastor- I know that if I want to properly shepherd the people- I sometimes have to ignore what they are asking for so that I can supply them with what they really need! And there will always be critics who will second guess every first choice you might make! But if we cease having the guts to make those moves- than nothing good will ever happen! And hence why the greatest generation was the one in the past and not so much the days to come! 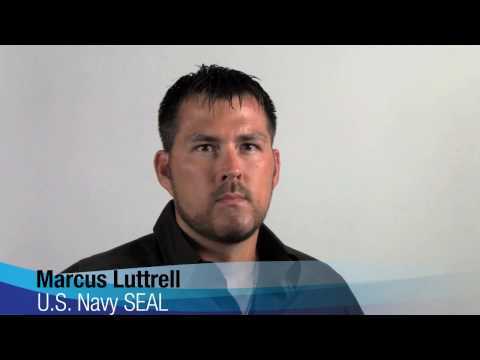 Marcus Luttrell writes “Fear is a force that sharpens your senses. Being afraid is a state of paralysis in which you can’t do anything.” The Bible tells us that “perfect love casts out fear.” And if you love someone so passionately- than you must kick fear in the rear so what is good and best and noble and right may be done! We need a little less worrying about what everybody thinks and lots more movement via what is the right thing to do-even if isn’t popular! If you don’t stand for something, you will fall for anything- and unfortunately I believe that is a trait of our present age that I would love to do something about! Anybody want to join me?